A trans-fat free sugared cutout cookies flavored with vanilla. Available in various shapes. 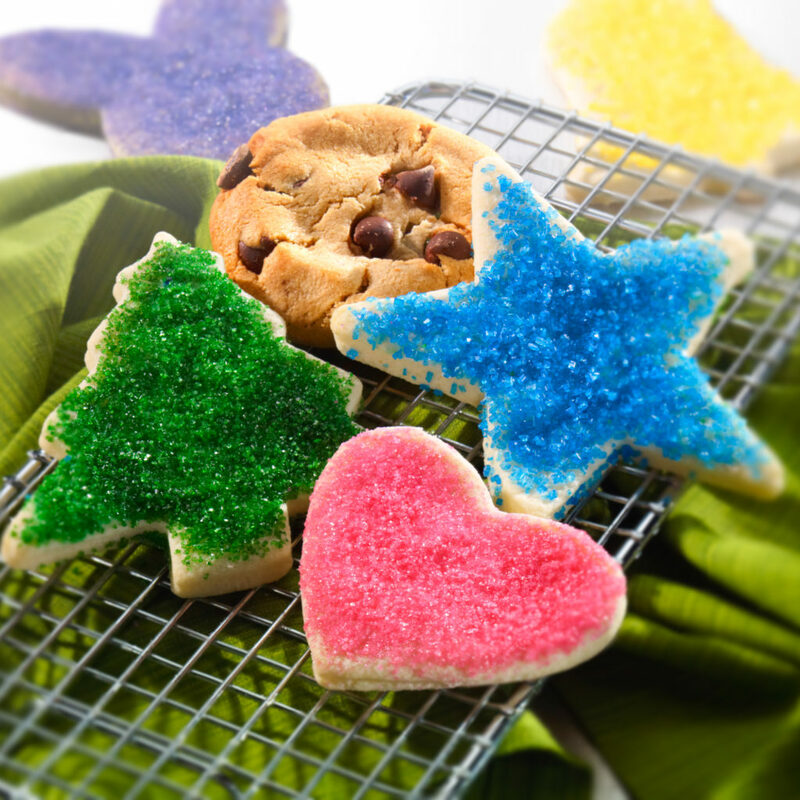 The unbaked cookies come with colored sugar crystals or plain ready to decorate. These colorful cookies are a great addition to any bakery or cookie tray. Flavor: Flavored with vanilla. Various shapes available.